Occasionally we get a call in the office for special needs travel, most often to Israel. This is not an area of expertise for us; there are companies and organizations out there that specialize in tours for travelers with disabilities. We can, however pass on information about the recent and ongoing work done in Israel to make more and more sites accessible to travelers with mobility, vision and hearing challenges. 1. 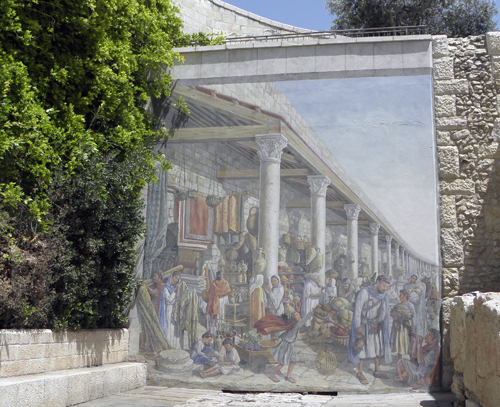 From Jaffa Gate to Zion Gate – This tour enters at the Jaffa Gate, proceeds to the Citadel and David’s Tower, which houses the Museum of the History of Jerusalem. From the museum, proceed to Christ Church and on to the Armenian Quarter and exit at Zion Gate. 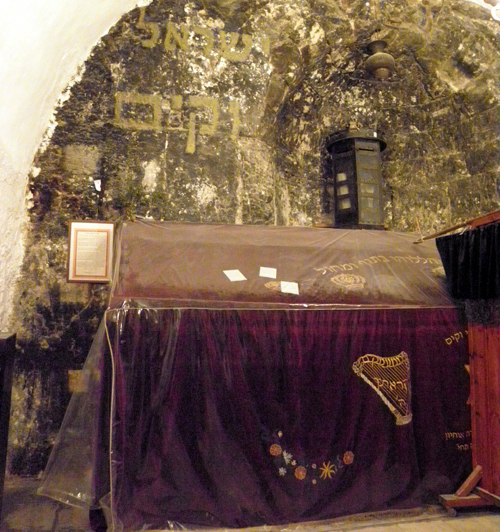 Outside the gate, visit David’s Tomb and the 19th-century Dormition Abbey. You get a good taste of the historical scope and diversity of Jerusalem on this tour; and the museum visit provides context for the city’s complex timeline. 2. 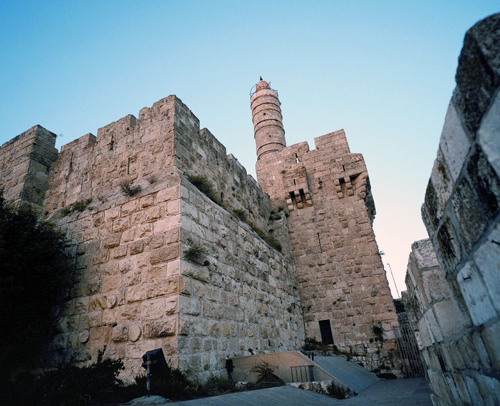 The Jewish Quarter – This tour begins at the Zion Gate and ends at the Jewish Quarter Defenders Memorial. The Jewish Quarter was developed as such beginning in the 14th century and throughout the 400 years of Ottoman rule. Sites on this route include Hurva Square and Hurva Synagogue, a modern structure built on the site of previously destroyed synagogues; the 13th-century Ramban Synagogue; the Roman Cardo; the excavated remains of the Broad Wall, built 2700 years ago to defend against Assyrian invasion; the Ariel Center for Jerusalem in the First Temple Period, with exhibits on biblical Jerusalem; and the Burnt House, remains of a house destroyed by the Romans, along with the entire city, in 70CE. 3. Jerusalem in the Second Temple Period – From the Western Wall Plaza to the Davidson Center Archaeological Park, this tour explores remains around the Temple Mount – the Western Wall, the western support wall of the 2nd Temple, all that remains of the Temple after the Roman destruction, the holiest site in Judaism; Western Wall Tunnels, underground water cisterns and storage spaces from which you can see the massive foundation stones of the Western Wall; Davidson Center Archaeological Park, with remains going back to the 1st Temple period. 4. 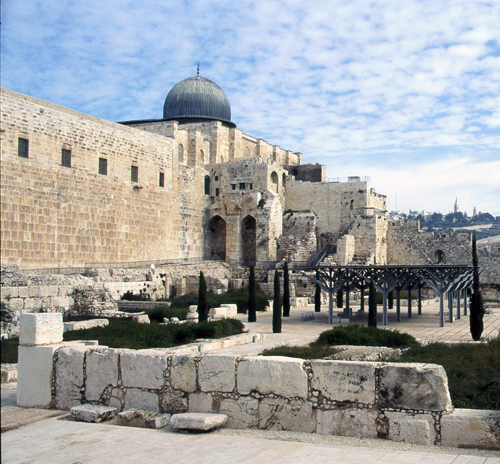 The Temple Mount Compound – Starting at the Dung Gate, this tour proceeds across the Western Wall Plaza up to the Temple Mount. The Temple Mount Plaza was built by Herod in the 1st century BCE as part of his expansion of the Temple, which stood on the mount. The temple was destroyed in 70CE but the plaza remained. When the Muslims came in the 7th century, they already revered Jerusalem as a holy city and the mount in particular, which they call Haram al-Shariff (Noble Sanctuary). Islamic tradition tells that Muhammad took a Night Journey with the angel Gabriel from Mecca to the farthest mosque (al-aqsa) and from there ascended to Heaven. Jerusalem was identified as the location of the farthest mosque and the Dome of the Rock and Al Aqsa Mosque were built in commemoration. 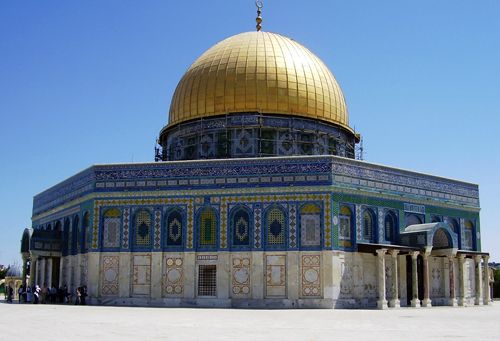 Some consider the Foundation Stone inside the Dome of the Rock to be the exact spot where Muhammad stood and it is believed by Jews to be the place where creation began. Non-Muslims are not allowed inside the Dome of the Rock or the Al Aqsa Mosque, but even from the outside, they are beautiful and quite worth a visit. 5. 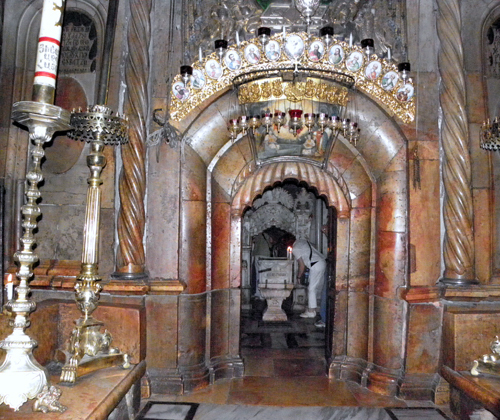 The Via Dolorosa – This tour begins at the Lion’s Gate and ends at the Church of the Holy Sepulchre. Just inside the gate are two important Christian sites: St. Anne’s Church, a beautiful example of Crusader architecture marking the traditional birthplace of Mary, named for her mother, Anne; and the Pool of Bethesda, where Jesus healed the crippled man. From there, a short walk leads to the start of the Via Dolorosa, the route Jesus walked from his judgement to his crucifixion. 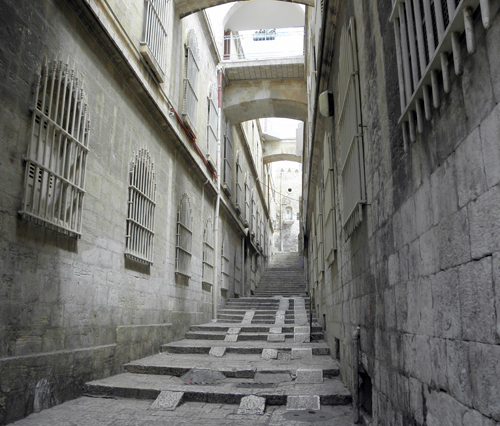 The Via Dolorosa (Way of Sorrow) is divided into 9 stations of the cross, each marking a notable event along the way. Inside the Holy Sepulchre there are 5 more stations, for a total of 14. These are only very brief descriptions of accessible Old City tours. 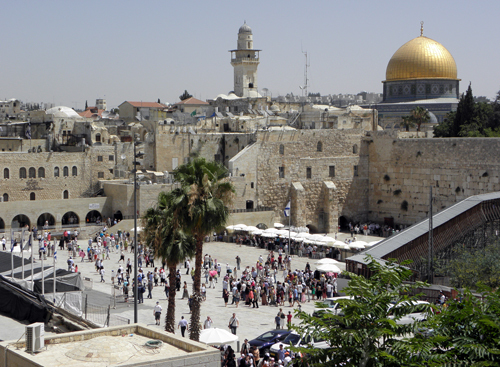 Click here for complete itineraries from the Israel Ministry of Tourism. 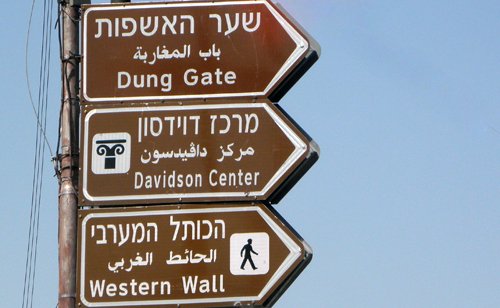 For accessible tours in other areas of Israel, click here.